Gleb Kolyadin is half of the duo of the Russian act Iamthemorning. Until now he has made three albums with that band. We did review two of the albums, to know Belighted (2014, see review) and Lighthouse (2016, see review). I am not totally familiar with the music of Iamthemorning. I have heard it but must admit it is not totally my cup of tea. If I read the information provided, it is no different than that this album has quality. The following people play along. Gavin Harrison (King Crimson, Porcupine Tree and The Pineapple Thief) on drums, Nick Beggs (Steven Wilson) on bass, Theo Travis (Robert Fripp, Porcupine Tree, Steven Wilson) on flute and saxophone, Steve Hogarth (Marillion) on vocals, Mick Moss (Antimatter) on vocals and Jordan Rudess (Dream Theater) on keys. The album starts with Insight. The song submerges and grabs you directly. It is nicely done by alternating quiet passages with busy passages. For me a cheerful song that shows you all sides of your insight, nice invented title. The guitar solo is also a nice one. Astral Architecture starts with a quiet piano intro. You hear some cymbals and drum parts as only Gavin can play. The way is cleared for Mick Moss, the man with the most emotional voice of the genre of this moment. His singing is only supported by piano and drums. A cello makes its entry and slowly it becomes more heavy and threatening, till the climax comes, after which a quiet piano takes over. Again Gavin may fill the space with his drum sounds and also Mick's velvet voice may shine again. Slowly the song fades away. It surely sounds like an Astral Architecture. In White Dawn your thoughts can go in all directions, supported by piano, some keys, a cello and a guitar solo. The title Kaleidoscope lives up to its credit. It is a song in which a woman sings without words, there is room for the flute and saxophone of Theo, including beautiful solos after which a major role is reserved for a solo on keyboard. Speaking of the saxophone, there is also in The Room a leading role for the artist Theo, recognizable out of thousands. The longest song is Confluence in which a beautiful vocal role is reserved for no one else than Steve Hogarth from Marillion. There are so many different episodes in this song that you ask yourself: where will this all go to? For me this song is one big improvisation, a real spontaneous jam that is dripping with emotion, done very well! For me Penrose Stairs is one of the nicest songs because of the high amount of prog. It all starts with an up tempo intro on piano where Theo's saxophone is added. At a given moment Gleb gives you the feeling that you have to start headbanging by his really aggressive piano playing, if you like it or not. If you summarize the album in its entirety and add the term headbanging, you will probably frown with your eyebrows. Well, sometimes people have special reservations about it. In Storyteller you hear the fingerboard from our great friend Jordan Rudess who is also recognizable out of thousands, if you ask me at least. Jordan is leading in this song, he fills the space with a long solo at his fingerboard. This is a nice, melodic song. The final song on the album, The Best Of Days, has again beautiful vocals from Steve. I think Gleb wrote this song especially for his voice, together with his touching piano playing, wow. 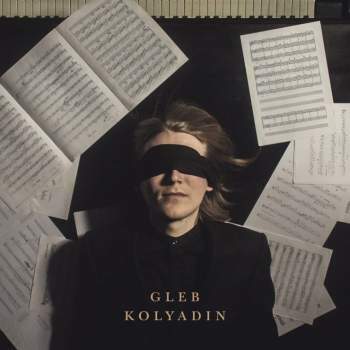 All-in all I can tell you that Gleb is a master of his piano, he surpassed himself with this great album. In the beginning I did not know what to think of this album, but the more I listened to it, I concluded that every song has anything for everybody, and that is very cleverly thought of. The album has many common grounds with Iamthemorning, but that is not that strange. Go and buy this album, you not regret it. I have given myself the assignment to start listening to Iamthemorning again, maybe I am now ready for it, you never know!